Alyssa Freas is a pioneer in the field of executive coaching. She is Founder and CEO of Executive Coaching Network, Inc. (EXCN), a global company whose mission is to help organizations achieve results by improving the effectiveness of their executives. EXCN specializes in Strategic Executive Coaching®, an approach designed to support the growth of leaders in building and sustaining their organization’s value creation capacity. Alyssa focuses on developing executives to ensure their growth is aligned with the Vision, Values, and Strategy of the organization in which they work. She helps executives leverage their strengths while developing new leadership behaviors that support the organization. Alyssa has delivered long-term, positive results for Fortune 100 companies in Africa, Asia, Canada, Europe, Mexico, Middle East, and the United States. Alyssa has helped family businesses through major transitions, worked with not-for-profit and private organizations for succession and change management, and coached key leaders in Government. She has helped executives translate their vision into action, align corporate values, improve employee competence and commitment, manage transitions, improve executives’ abilities to coach emerging leaders, and implement lasting improvements in their performance. Her coaching approach has been described as “transformational,” “life changing,” and “pivotal to our company’s best business year ever.” Alyssa brings a unique point of view to her work from her success as a triathlete; she helps people benefit from the link between physical and mental well-being and job performance. Some of her delivery includes but is not limited to: COO to CEO transition, emerging markets, merger and acquisition, new business ventures, and growing capacity of executives and leaders to ensure the business can grow. In concert with individual work and sometimes separately, she is working with executive teams and Boards to optimize how they work together as a team so that they can successfully handle challenges and lead their organizations. 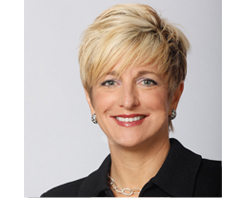 Alyssa brings world-class expertise in executive development and organizational change. The Peter F. Drucker Foundation has recognized Alyssa as a Thought Leader and granted her the distinction of invitational membership. With Stratford Sherman, she co-authored “The Wild West of Executive Coaching” (Harvard Business Review, November, 2004). She is co-editor (with Marshall Goldsmith and Laurence Lyons) of Coaching for Leadership: How the World’s Greatest Coaches Help Leaders Learn (Jossey-Bass, May 2000), and she has authored and co-authored books and articles including “Increasing Customer Satisfaction,” (Leader to Leader, Winter, 1997). She partnered with Marshall Goldsmith, Frances Hesselbein, Gifford Pinchot, and Richard Leider to create a leadership development tool (Jones Internet Channel, Inc., 1997, Leadership Online™), and she was featured on Sky Radio. Prior to founding EXCN, Alyssa served as a senior consultant with a global professional services firm; she was a principal with Keilty, Goldsmith & Company, where she acted as Practice Leader; Alyssa also served as a leader in business in the hospitality industry working with Renaissance Hotels. Alyssa has a Ph.D. in organizational development with an emphasis in marketing.